Today saw the presentation of one of our Powerex 12:150 500L Trailer Bowsers to a prestigious estate in London. 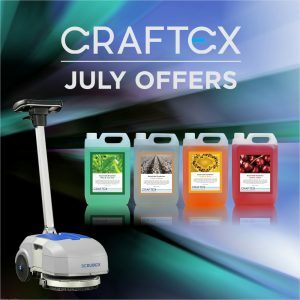 When used with an additional Hard Surface Cleaner, the combination gives incredible results – click here to see one of these machines in action! Our client is “very happy with the performance and results being achieved with this addition to [their] fleet”! Posted by Craftex Admin | Comments Off on Happy World FM Day! Our biggest mobilisation to date! 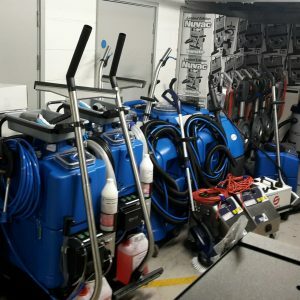 On the 4th July we mobilised over 150 machines for a London council! 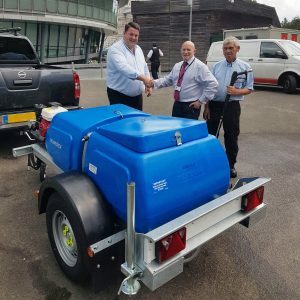 Machinery supplied ranged from standard tub vacs through to specialist washroom cleaning systems. As always, the mobilisation was efficiently executed by the Craftex team and all equipment delivered on time and to the correct locations.